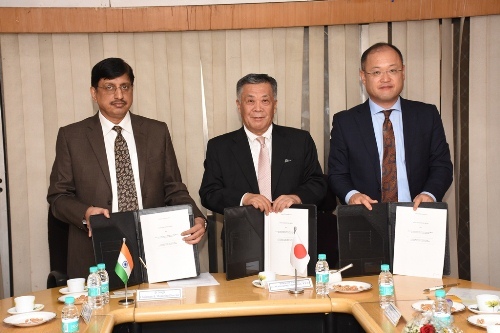 Toyota Tsusho Corporation ("Toyota Tsusho") and its wholly owned India-based rare earths production subsidiary Toyotsu Rare Earths India ("TREI") signed a two-year contract on December 9 (Delhi time) with Indian Rare Earths Limited ("IREL"), a Government of India undertaking under the administrative control of Department of Atomic Energy, under which Toyota Tsusho and TREI will procure mixed rare earths chloride, the raw material of rare earths. 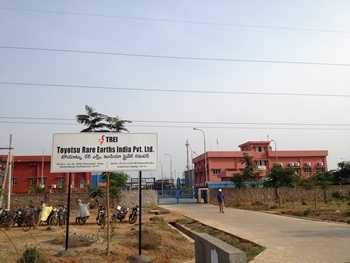 TREI was established in 2009 for the purpose of refining and supplying high-quality Indian rare earths to alleviate the overdependence on rare earths manufactured in China. In 2010, Japan and India signed a joint declaration on the development and reuse of rare earths, followed by a bilateral MOU in 2012. Since then, Japan has been negotiating with IREL, which produces mixed rare earths chloride from monazite, and the Indian government on the supply of rare earths raw materials. With the conclusion of this contract, the supply of raw materials will begin in January 2016. 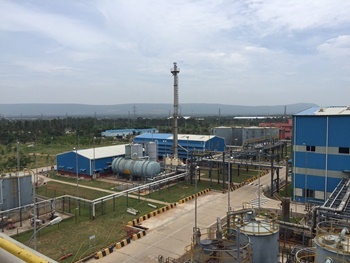 IREL will produce mixed rare earth chloride at its plant located on the eastern coast of India. TREI will then purchase mixed rare earth chloride from IREL under the agreement,and separate and refine the rare earths. As much as 4,000 tons of rare earth oxides are expected to be produced annually. Four kinds of rare earths will be produced: neodynium, celium, lanthanum, and praseodynium. Production is scheduled to begin in February 2016, followed by shipments to Japan, Europe, the Americas and other nations. Currently, product manufacturers are working to develop alternative technologies that do not require the use of rare earths. These efforts are concentrated on dysprosium and other so-called medium rare earths. Demand for neodynium, the most commonly used rare earth magnet, is expected to continue growing in the future. Toyota Tsusho is establishing stable supplies of rare earths critical for the development of next-generation automobiles and other leading-edge technologies. Moving ahead, the company plans to also establish supply chains for magnetic materials to meet an expected increase in demand in the environmental energy field.